Allen's Custom Woodworking & Design is family-owned and operated right here in Paso Robles, CA. Since our company opened its doors in 2006, we’ve treated every customer like they were a part of our family. Other companies may offer similar services, but our services are the best, and always come with a personal touch. Larry Allen has been building cabinets and furniture for over 35 years. He will sit with you and help design, choose materials and make sure to utilize the space for the cabinet or furniture and make sure it compliments your decor. If you’re looking for high quality and personal service, you’ve come to the right place. At Allen's Custom Woodworking & Design, we’ll give you the attention and personal service you’ll come to expect and enjoy. We offer the best in custom made furniture. 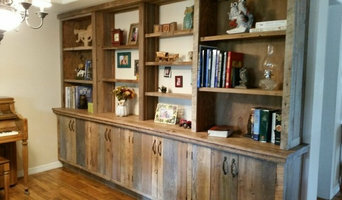 Allen's Custom Woodworking & Design has been located in Paso Robles since 2006. Let us put our experience to work for you. At Allen's Custom Woodworking & Design, Larry Allen is available Monday through Friday to answer all of your questions and ensure you are 100% satisfied. Saturday or Sunday by appointment. Jory Brigham Design is a furniture design and fabrication business located in San Luis Obispo, California. For each handcrafted piece, Jory strives to incorporate many styles, eras, colors, and textures, often including an option for a plant or flowers to bring nature and life to his work. The materials used, sometimes unconventionally, are always utilized to their fullest potential. Sustainable hardwood, concrete, and plywood are just some of the materials Jory employs in his unique, one-of-a-kind creations. Learning from his father at a very young age, many skills were passed down to him. Constant growth and discoveries stimulate the passion Jory has an artist. Although his mantra is form over function, these timeless products are functional pieces of art. The Finest Quality Hand Made Furniture, Cabinetry & Architectural Woodwork. I have been in business for 25 years. 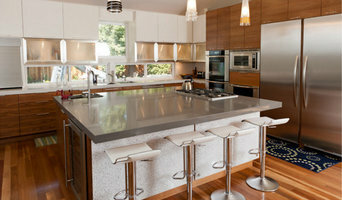 We have worked for some very astute Clientele' through the direction of prominent Interior Designers and Architects. 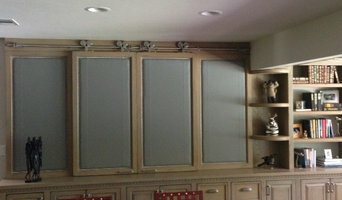 We can also design a custom piece or an entire room filled with custom woodwork. We are experts at sequence veneer matching, hand carving and fine finishes. We work closely with the Interior Designer and Architect to ensure the best possible outcome for each Client. We scour the globe in search of exquisite hand-crafted furniture and accessories. In a world where almost everything is available in endless quantity, we pride ourselves on finding precious one-of-a-kind items that have soul. At One World Home Furnishings, you can always expect the unexpected. CORE VALUES: -Be passionate about building a quality product -Utilize as much of the reclaimed barrel as possible -Provide Customer Service that is second to none -Continue to be innovative in our product offerings OUR PRODUCTS: Handmade by Great Craftsmen THIS IS WHAT MAKES US DIFFERENT: Our products are Hand Made by some of the finest craftsmen in the United States. They were selected to work for Eco Wine Furniture because of their skills and creativeness. We believe in using as much as possible from the reclaimed barrel to produce our products. We use everything from the barrel heads, to staves, the steel rings and even the internal staves. Our products use less than 5% of wood not from the barrel. All of our products are made in Santa Maria, California on the picturesque Central Coast. Eco-Wine Furniture buys recently retired oak wine barrels and repurposes them into handcrafted products. The products are unique, attractive, long lasting, fairly priced, and comfortable! The curved staves from the oak wine barrels are used to make furniture such as benches, chairs and accessories such as trays, platters, and wine racks. 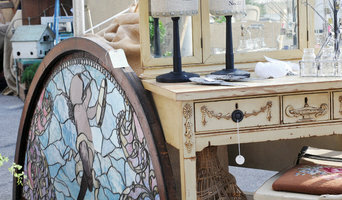 We also make art easels, children’s furniture, and coming soon: lamps. Various-sized barrels are used to make fountains, ice coolers, and garden planters. Oak barrel heads are made into dining tables, coffee tables, bistro tables, as well as an assortment of bar stools and chairs. The galvanized steel hoops provide a wonderful vibrant accent to tables, chairs, and home & garden accessories. Each item is individually constructed by EWF. We build mostly from recently retired French Oak barrels. Some items like the ice coolers and fountains include redwood for durability. The Patina Finish: The various patina finishes of the oak are natural stain colorations that occur from the wine aging in the barrels. From burgundy to blond, the patina is superb. The naturally infused colors of the oak work well with many decors. Our trays and platters feature a food safe coating. For indoor and covered patio items we prefer olive oil. To maintain the beauty of the furniture rub occasionally with your favorite oil. Various coatings for ongoing outdoor use are available on request. Making art is Michael’s true passion. Over the past 15 years Michael has developed ways to incorporate his art in many different spaces. Working with clients to bring memories, aesthetics and emotions into amazing works of art that can be hung on any wall or stand alone in the form of a sculpture. Bayly Art was built on commissioned projects and there is nothing we love more then to build custom pieces just the way our clients want them. We have made everything from planter boxes and railings to dining tables and chairs. If you have an idea or maybe you need help with one, we would love to help. 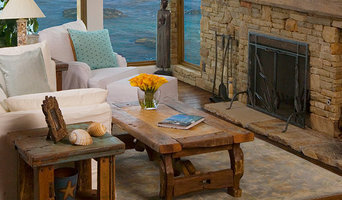 Why should I use a furniture designer or home accessories professional in San Luis Obispo, CA? Think about the overall look of the room and what all you need for it. Do you have very specific ideas for what furniture you’d like or do you just know the colour palette or the basic type of furnishings and home accessories you want? If you have very specific ideas it could be an option to look at good furniture showrooms in San Luis Obispo, CA. If you have unique ideas it is best to approach furniture manufacturers, they will produce one-of-a-kind pieces to make your ideas come to life. If you are not sure where to start, hire a San Luis Obispo, CA home furnisher to help you choose furniture and accessories to work with your interiors. Professionals with years of experience will have a great eye for picking out the pieces from the right furniture showroom in San Luis Obispo, CA based on your brief and your room design, saving you the time and stress of hunting down the pieces yourself. Don’t forget home decor can provide the finishing touches to any room in the house. Table lamps, plants, cushions, rugs, candles, ornaments, artwork and picture frames are just a few of the home decor elements you can use to round off the style of your room and add personal touches. It’s easy to find ideas for these smaller furnishings with plenty of home decor items and products available online and listed in many furniture showrooms in San Luis Obispo, CA. What should you know about a Furniture and Accessories Manufacturer in San Luis Obispo, CA? Start your research right here on Houzz. Read through professionals’ profile pages to find out their location, look at photos of their work and check how long they've been in business. Read any reviews by design professionals and find out which furniture showroom in San Luis Obispo, CA offer the best customer service. If your style or space is unique, it will be wise to consult a custom furniture manufacturer. Take your time on any buying decisions. If contemporary is your style, don’t buy something traditional because it’s on sale.Have fun creating spaces that reflect your personality and style preferences. The main factor in dressing up any room is the furniture, while home decor like wall shelves and lighting are like a room’s jewellery. Whatever your style, surround yourself with accessories and products that you’ll enjoy. Find home decor and furniture stores and retailers on Houzz. Narrow your search in the Find Pros section of the website to furniture and home accessories. Browse through photos to find designs you like and contact the furniture manufacturers and showroom galleries directly.